Just a week before I left for Pakistan to film this documentary, the chief minister of my home state Rajasthan in India (which, incidentally, borders Sindh, the part of Pakistan that I was about to visit), pledged that within the next two years, there would be not a single mud house left standing in the state. For many years the central government in India has already had a programme in place, which gives those in rural areas a sum of money to replace their traditional mud houses with brick and cement structures. Traditional is seen as poor and inferior and the fast track to “development” cannot, God forbid, be lined with mud and thatch houses. While filming in Pakistan, I shared our chief minister’s announcement with an artisan who works with Yasmeen Lari at the Heritage Foundation in a village called Moak Sharif in Sindh. “Thank God we’re decades behind India in this development business,” he said. On one of my travels in Orissa in India, to a village called Govindpur that is resisting land acquisition for the mega steel company, POSCO, I met a woman who was rebuilding her kachcha house (made of natural materials, such as mud, bamboo and leave) despite being able to access government funding for a concrete house. 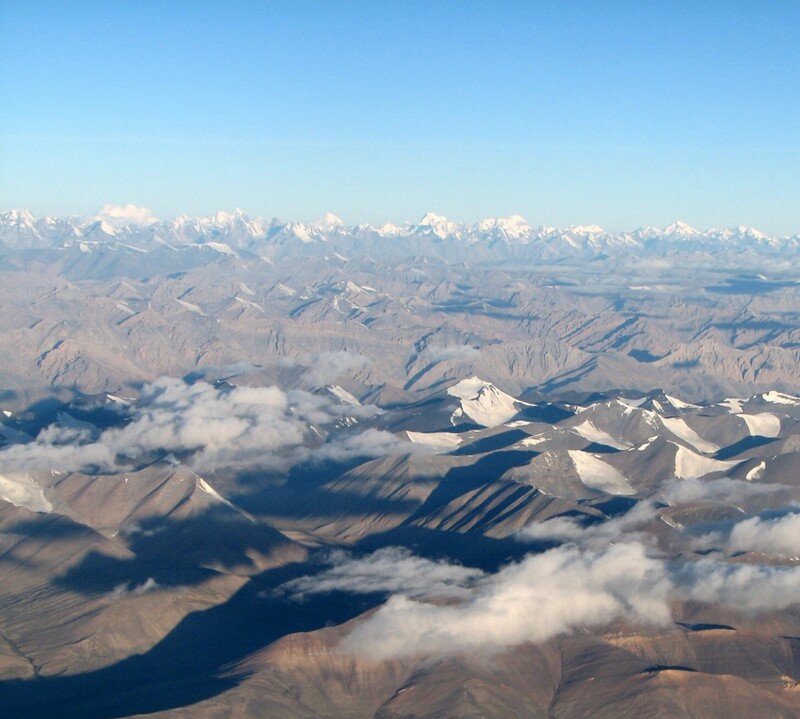 “We depend on this land for everything, we take what we know can be replenished. People in cities have no connection with the land so they don’t think twice about cutting down trees, mining the earth hollow. You think you’re separate from nature but you’re not. If this goes, you go,” she said. What I am constantly being reminded of, as this country builds the capitalist dream, is that we stand to lose the wealth of traditional knowledge that pivots around this belief – ways to farm, heal, learn and live. 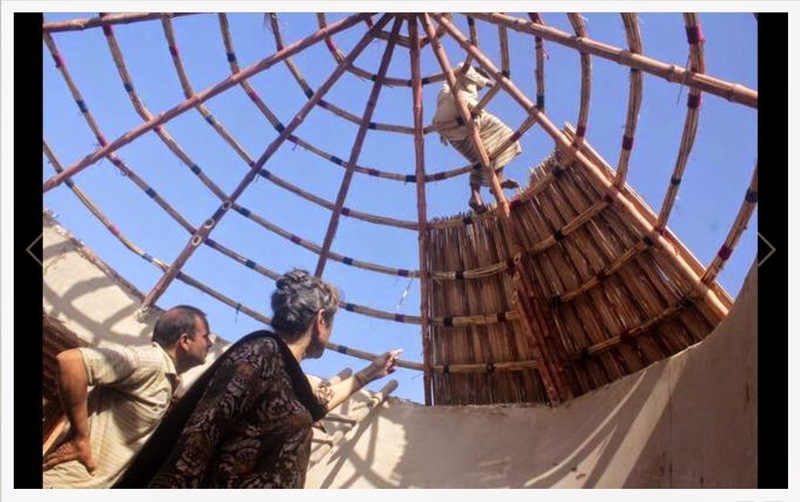 At the Heritage Foundation centre in Moak Sharif, Yasmeen Lari has been working to preserve traditional ways of building. The centre was set up by Yasmeen and her team in 2005 and has evolved to include a women’s centre, a small learning centre for children and a clinic to provide health care for the residents of the village. Yasmeen believes that her role as an architect should not be restricted to designing houses and buildings. Instead, things should grow in an integrated way. While I was there, they managed to get the government school, once barely functioning, in working order. Women from the village had organised themselves into a ‘mothers committee’ to oversee the school’s daily operations. And after I returned to India, every once in a while, Yasmeen would call and explain, with great delight, something new they were experimenting with – organic farming, bio fertilizers and natural soaps. 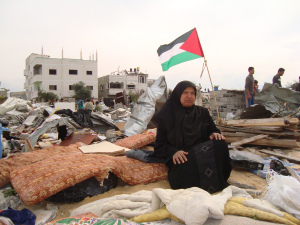 “I’ll back you and protect you, I’m your guy … it’s very upsetting … all the Arabs are the same,” US PresidentBill Clinton told Israeli Prime Minister Ehud Barak in a 19 July 2000 meeting during the failed Camp David summit with Palestinian Authority president Yasser Arafat. But these quotes from Ahron Bregman’s Cursed Victory: A History of Israel and the Occupied Territories (2014), which includes the actual “script” agreed upon between Clinton and Barak, make graphically clear the extent of the collusion between the two governments. 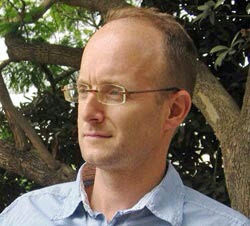 Bregman is a British-Israeli political scientist who teaches in the War Studies Department of King’s College London. He served in the Israeli army during the 1982 invasion of Lebanon. But during the first intifada, he openly announced his refusal to serve in the “occupied territories,” in an interview with Israeli newspaperHaaretz. In a secret 1998 letter to Israeli prime minister Benjamin Netanyahu, Albright promised: “Recognizing the desirability of avoiding putting forward proposals that Israel would consider unsatisfactory, the US will conduct a thorough consultation process with Israel in advance with respect to any ideas the US may wish to offer the parties for their consideration.” As Bregman notes, this effectively gave “Israel carte blanche to veto any American peace proposals” it didn’t like. He’s traveled half a million miles over the years – enough to go around the world 12 times, or to the moon and halfway back – so it’s little wonder that writer, photographer, conservationist and educator Martin Keeley continues to find inspiration for his work. Keeley’s latest trips are with the Marvelous Mangrove education curriculum, a program that teaches schoolchildren about the importance of mangroves and the eco-systems which they support worldwide, as well as training teachers to teach both students and other teachers. The program was developed by Cayman Brac-based Keeley in 1999 and initially was incorporated into Cayman’s primary school curriculum. It is part of the Mangrove Action Project, a conservation group comprised of more than 300 scientists and academics spanning more than 60 nations. The Marvelous Mangrove program is now in 11 countries, with the expansion this year to South Sulawesi, Indonesia, and Queensland, Australia. 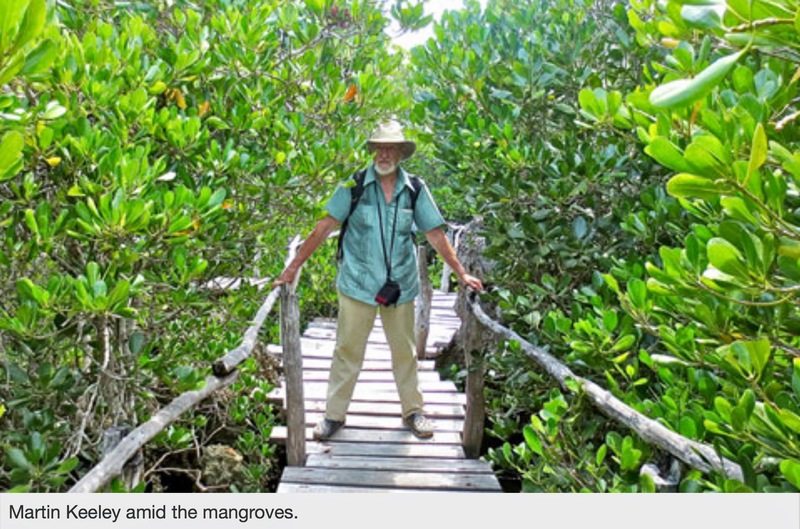 “For me, the mangrove trips continue to stimulate the creative process,” said the writer. In addition, he says, he gets an in-depth perspective on the countries and the cultures where he works. “I experience and observe firsthand their societies and the common problems they face – the huge and ever growing disparity between the obscenely wealthy and the desperately poor who are barely making it,” Keeley added. A particular highlight was the surprise introduction of 15 school kids who came in and assisted for the afternoon, Keeley said. “The setting is perfect, with elevated cabins connected by elevated walkways and the “hall” for the workshop itself in a Roman-style amphitheater that is open to the elements – roofed, but with shutters, not glass windows,” he said. The Australian leg of the trip, he said, was slightly different. “Australia saw the launch of ‘Mangrovia,’ a huge inflatable red mangrove that students go inside to explore and hear storytelling,” Keeley said. “In addition, Mangrovia’s creator, international festival artist Evelyn Roth, also designed and made 28 costumes of mangrove critters that are used in conjunction with the inflatable. The issue of mangrove conservation has become more and more important in recent years, Keeley says, largely because of their environmental qualities. “It has been known for many years, and the 2004 Asian Tsunami proved it beyond doubt, that mangroves are the first line of defense against major tropical storms, be they hurricanes or typhoons,” Mr. Keeley continued. “Recent studies during the past six or seven years have also shown that, given the opportunity, mangroves will keep pace with sea level rise thereby extending that level of protection. In addition, recent research has shown that mangroves capture CO2 from the atmosphere and store it in leaves, roots, trunks and soil. “No maximum storage capacity has been determined as the trees continuously store carbon in the soil for centuries or millennia. Obviously ripping out mangroves releases this stored CO2 and thereby adds to the acceleration of global warming. Next up for stamps on the increasingly-packed passport pages will be trips to Bangladesh and Kenya, scheduled for summer 2015. Keeley has already visited both briefly to get the ball rolling and he told Weekender that – funding permitting – translations of the materials and teacher training workshops will be introduced. There seems no sign of slowing down there, either, for the Brac-based whirlwind. “World-wide at least a dozen other countries are interested in the Marvellous Mangroves curriculum,” he concluded. 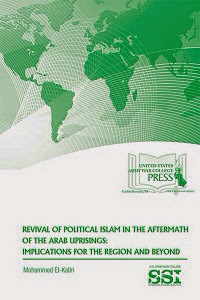 29 AUGUST 2014 Good to have Justin Raimondo at Anti-war.com set out the hugely suppressed but growing indicators that Israeli intelligence knew of the 9/11 attacks but failed to alert the Americans (while the Saudis were probably more directly involved in the attacks). The definitive evidence is likely to be found in the censored 28 pages of the joint report of the intelligence committees of the two houses of Congress, as Raimondo highlights. Sounds like a rather accurate prediction of how things turned out, no? The Haaretz article on 18 Dec 2001 that quoted the pair, written by Aluf Benn, now the paper’s editor-in-chief, was originally titled “For Israel, September 11 was a Hanukkah miracle”. The version on Haaretz that can now be found has excised all references to “Hanukkah” and “miracles”, and is under the much blander – and misleading – headline “Israel strives to import America’s war on terror“. 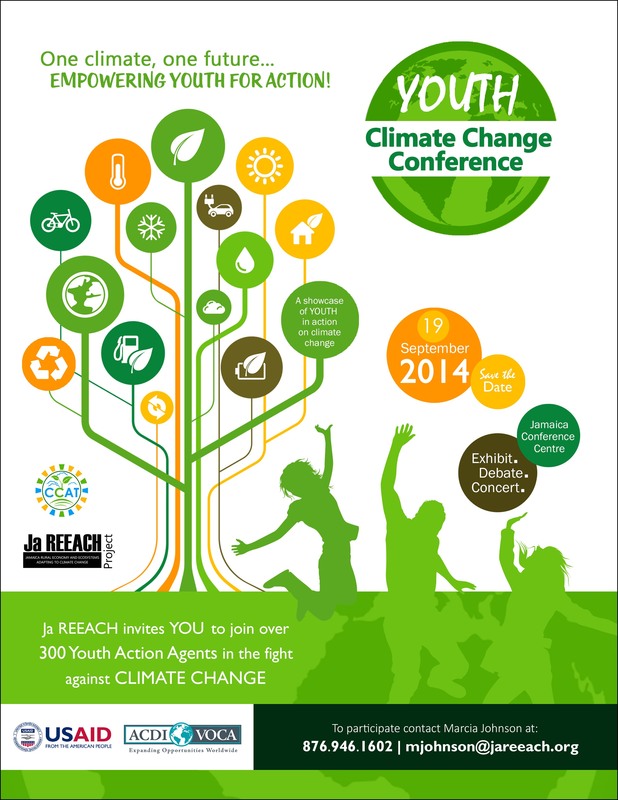 The USAID-funded Jamaica Rural Economy and Ecosystems Adapting to Climate Change (Ja REEACH) project is hosting a mock United Nations-style assembly on climate change at the inaugural Youth Climate Change Conference in Kingston, Jamaica on September 14, 2014. Themed, "One Climate, One Future...Empowering Youth for Action" high school delegates will deliberate on the availability, access, and quality of water in Jamaica, a relevant and timely issue considering the country's current drought condition. The assembly will discuss the rights and use of water across Jamaica's social and economic sectors, focusing on tourism, agriculture and fisheries, manufacturing and industry, health and recreation, and the environment. The deliberations will be collated to formulate a youth position on risk management strategies and actions for sustainable use of the resource in the face of a changing climate.